Hello!! This is my second post for today, The Sweet Stop sketch is in the post below. It's been a long while since I've played with my Stampscapes stamps. I love how this one turned out so thought I'd share! I masked of my moon and added sparkle to the trees using my clear glitter pen (don't think that shows in the pic though), it is very sparkly! I need to dig out a few more of these stamps and play some more! Thanks for stopping by, see ya again soon! This is beautiful. Really loving what you did with it. 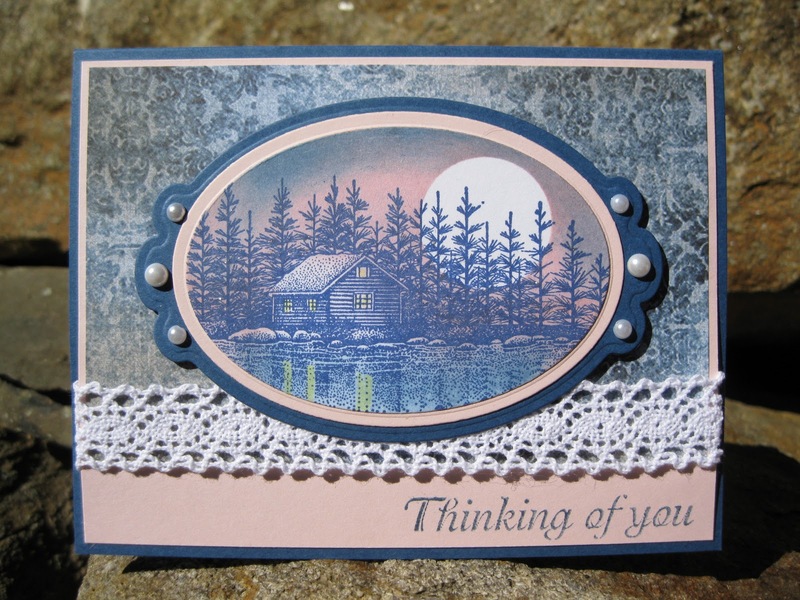 I love Stampscapes and have quite a few but have not had the time to play. I need to learn how to brayer. You did a fabulous job with this scene! It makes a stunning card! As you know I LOVE this card! Its so soft pretty and sparkly - just gorgeous!